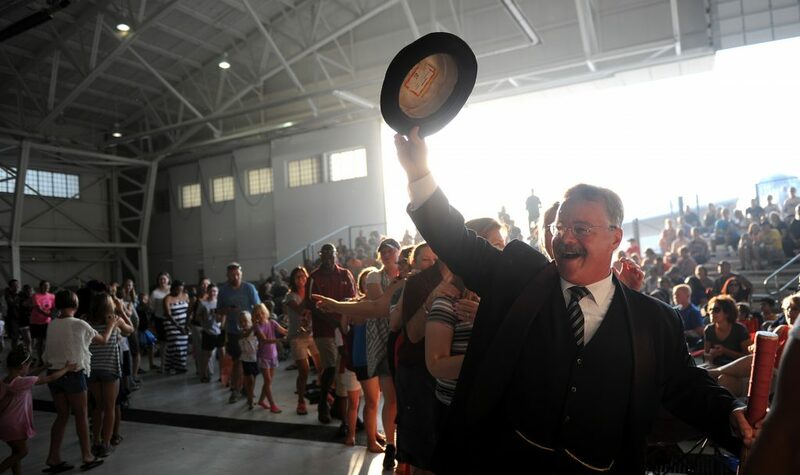 Joe Wiegand, the nation’s premiere Theodore Roosevelt reprisor, has performed as TR in Medora, North Dakota every summer since 2012. By mutual agreement with the Theodore Roosevelt Medora Foundation, Wiegand’s TR will remain a staple of Medora, North Dakota summer entertainment for 2019, 2020, and 2021. 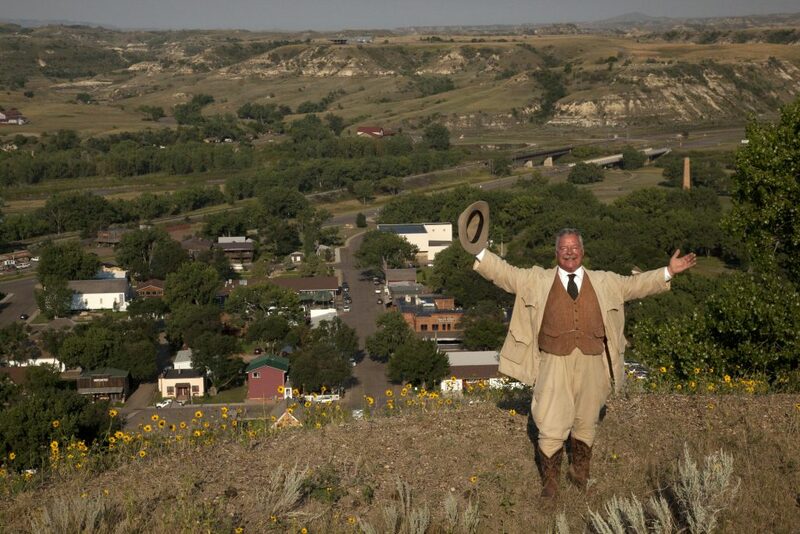 In addition to performing his six day a week afternoon matinee at the Old Town Hall Theater, Wiegand appears as TR for family and business groups in Medora, and performs throughout the country on behalf of the Theodore Roosevelt Medora Foundation and its mission to preserve the legacy of Theodore Roosevelt’s experience in the North Dakota Badlands. “Theodore Roosevelt famously said that he would have never become President but for his experiences here in North Dakota, and that if he could only retain one memory from his lifetime he would choose to remember his time as a cattle rancher along the Little Missouri River in the Badlands. 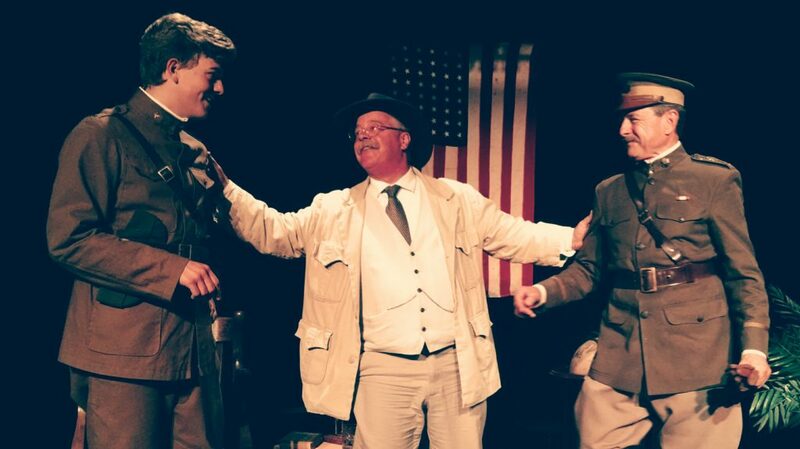 It is an honor and a pleasure to be an actor and a historian who brings TR to life on the Sorensen Stage in the beautiful Old Town Hall Theater in Medora, North Dakota, gateway to Theodore Roosevelt National Park. Most especially, it’s a really wonderful opportunity to work with my TRMF colleagues, the townspeople and leaders of Medora, and the staff and volunteers of the National Park Service in making Medora such a wonderful place for families to visit,” said Wiegand. Wiegand combines scholarship with a unique ability to entertain and make history fun. Wiegand will quickly give credit to the personality and the character of the man he portrays. Wiegand is known for his physical likeness to TR. He served as the body model for the newest statue of TR at the American Museum of Natural History in New York City. 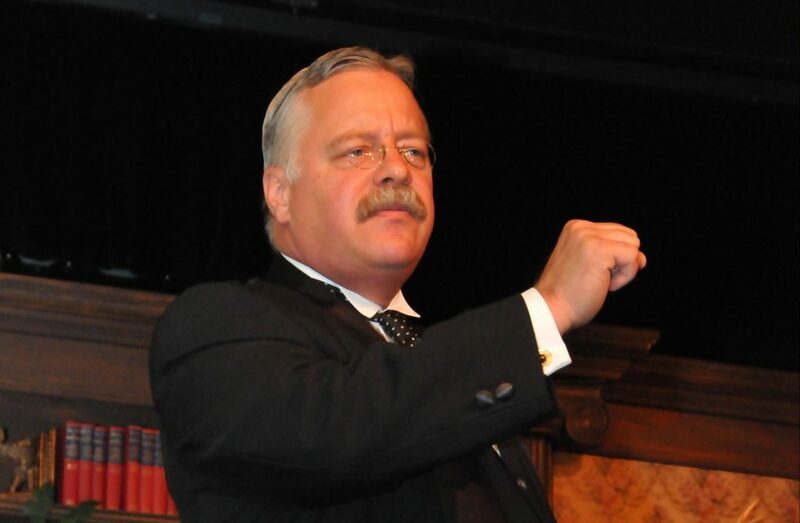 More impressive, is Wiegand’s familiarity with Theodore Roosevelt’s life history and world-wide legacy. Wiegand has performed as TR at the White House, in all fifty states, and in Canada, the United Kingdom, France, and Panama. Trained as an award-winning political scientist, Wiegand served a twenty-five year career in politics and public service in his native Illinois, prior to developing his TR interpretation over a dozen years ago.